Ed Ou is a staff visual journalist and documentary filmmaker with NBC News. He started his career early as a teenager, covering the 2006 war between Israel and Hezbollah in southern Lebanon, and the fall of the Islamic Courts in Mogadishu, Somalia while he was studying in the Middle East. He first worked for Reuters and the Associated Press, covering a wide range of news stories in the region. He then worked for the New York Times covering East Africa and the Middle East during the 2011 Arab Spring uprisings. Since then, he has covered indigenous stories in Canada, the drug war in the Philippines and global warming in Europe for NBC News. Ed has been the recipient of a Global Vision Award, World Understanding Award, Documentary Journalism Award, and Photographer of the Year Award from POYi, a 1st Place Contemporary Issues award from World Press Photo. He has also received an International Reporting Award from the Overseas Press Club, and other recognitions from the Ian Parry Scholarship, Best of Photojournalism, PDN Photo Annual, UNICEF, among others. He has been selected for a Getty Images Editorial Grant, PDN 30 Under 30, and took part in the World Press Photo Joop Swart Masterclass. 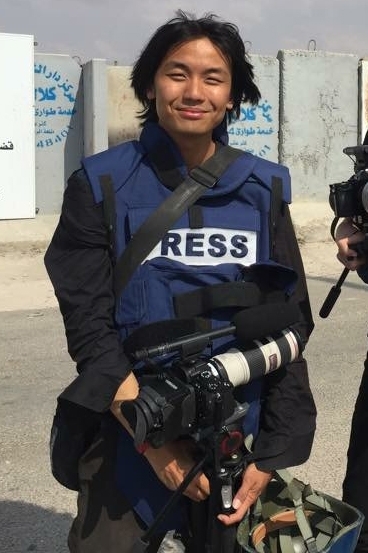 He was also awarded the City of Perpignan Young Reporter Award at Visa Pour L'Image and the Young Reporter Prize from the Prix Bayeux-Calvados Award for War Correspondents. He is a TED Senior Fellow.